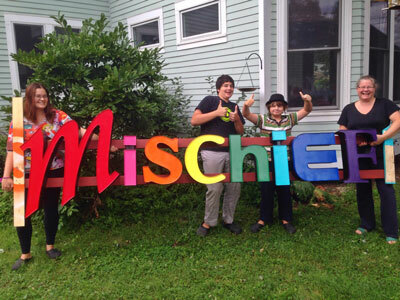 Abby, Riley and Duncan Adelsheim-Marshall and Millie Adelsheim hold the Mischief sign. Dan Marshall and Millie Adelsheim are filling their storefront at 2290 Como Ave. with toys once again, but this time the focus is on older kids, teens and young adults. Mischief Toy Store—which Marshall says will be “fun, adventurous and a little subversive”—is opening Thursday, Oct. 1, in the former Peapods space. Peapods, which specialized in natural baby and early childhood products, closed in June. The building at 2290 Como is still for sale, Marshall said. Mischief won’t need its 3,200 square feet. Once the building is sold, Mischief will relocate. You can find out more at www.mischieftoy.com. Mischief will be managed by Adelsheim and Marshall, along with their daughter Abigail Adelsheim-Marshall, a student at Hamline University.